The path to glory is forged with STRENGTH and HONOR!! New things are coming this year! New website, new events, some returns to our "basics" from days past... Like our Newsletter returning, our older traditions from simpler and "funner" times! The LARGEST gathering of IKF warriors since 2003 in Minneapolis, MN. Which was when our last one took place. This year is VERY SPECIAL as both the Chancellor AND Vice Chancellor, members of yo' wa', yo' cha', yo' jav and other fleets will be present at this historic event. A celebration and festival of Life in remembrance of the late Admiral K'Vok zantai-Rustadzh fulfilling his wishes to have a KLINGON CAMPING EVENT named after him to celebrate all that he enjoyed in Klingon Fandom on the 4th anniversary of his passing the gates to Sto'vo'Kor to serve in the Black Fleet. We shall honor him, as well as all our honored dead this year, as how K'Vok wanted it. The CANON Holiday of the Day of Honor (batlhjaj) - Where a warrior evaluates his or her deeds for the past year to see whether he has been honorable or not... It is customary to serve Rokeg blood pie on this day. The traditional ceremony on the Day of Honor includes eating the heart of a sanctified targ, drinking mot'lach from the Grail of Kahless, enduring the ritual of twenty painstiks, engaging in battle with a bat'leth master, and traversing the sulfur lagoons of Gorath. (VOY: "Day of Honor") This should be the start of the DAYS OF HONOR as a day of reflection. The BETA CANON Holiday of Empire Union Day (wo' boq'a' jaj) which is also celebrated in the 3rd month to honor the uniting of the Klingon people by Kahless. Considered to be the Klingon New year by many. This legendary con has asked to be INVADED by IKF AGAIN in 2018! - A holiday which comes in the tenth Klingon month. 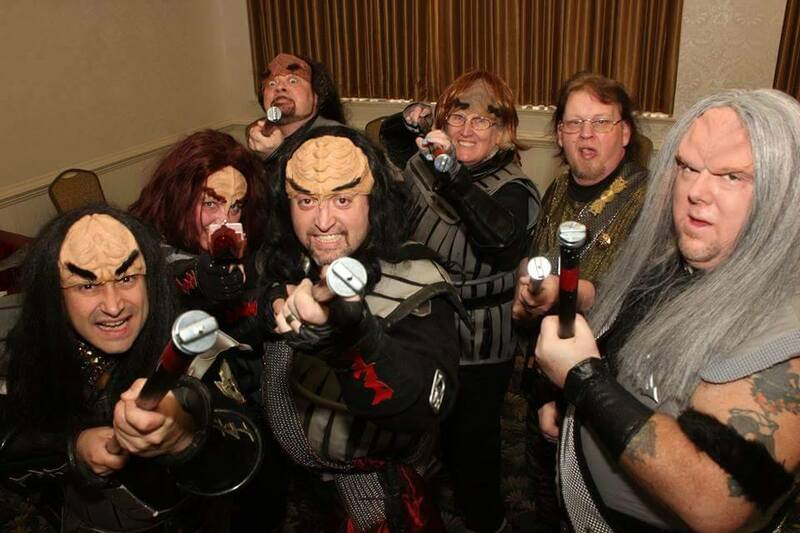 QI'lop celebrates the superiority of the Klingon military. Like most Klingon holidays QI'lop is celebrated with much eating and drinking, but it is also marked by a very peculiar custom, a guest brings a large dish of stuffed to'baj legs to a host's house and in return is allowed to take any non­-sacred item in the house. The actual origin of this custom is obscure. FRIDAY: qep'a' registration opens, Information Table, details/improv skits, KPLA Klingon Radio streaming broadcast, IKF Meet & Greet party. SATURDAY: Breakfast Hunt, Table Details, Klingon Academy Demo, BetleH Demo, BetleH Tournament, High Council Meeting, IKF Parade, IKF State Dinner, IKF Party (in sync with Con Party). 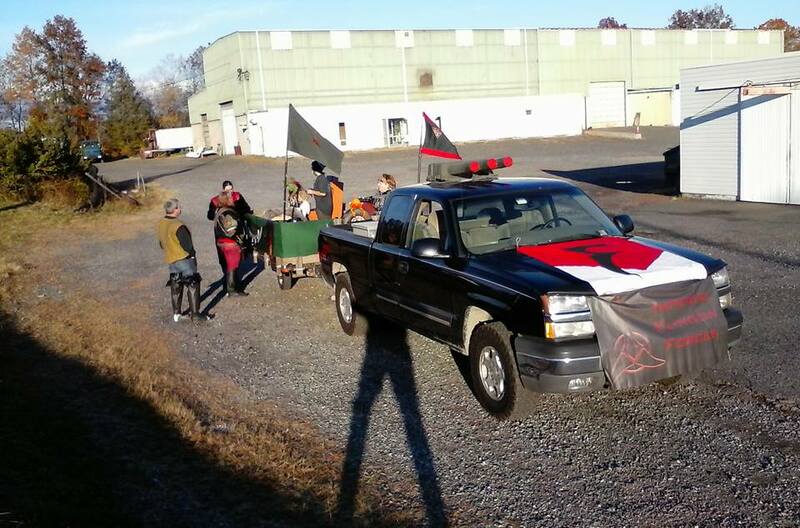 SUNDAY: Pack out & Breakfast Hunt, Table details, Klingon Academy Demo II, BetleH Demo. This festival is a celebration of the day IKF was FORGED into fandom with blood, sweat, and tears! 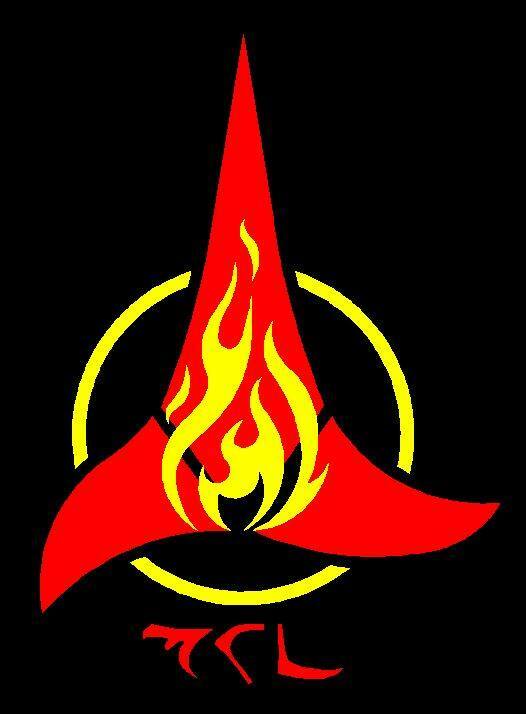 On this day (or weekend day closest to it) we celebrate our beginnings, Klingon Culture, and remember our honored dead and the contributions they made to enrich our lives! A winter solstice festival celebrated on the longest night of the local year (e.g. Dec. 21 on Earth). marked by a large feast, exchanging of gifts and a tradition of charitable giving. Without your support, our presence on the Internet is severely limited. We are NOT in this for profit, and any funds gathered go directly for this website. © 2016, All Rights Reserved. 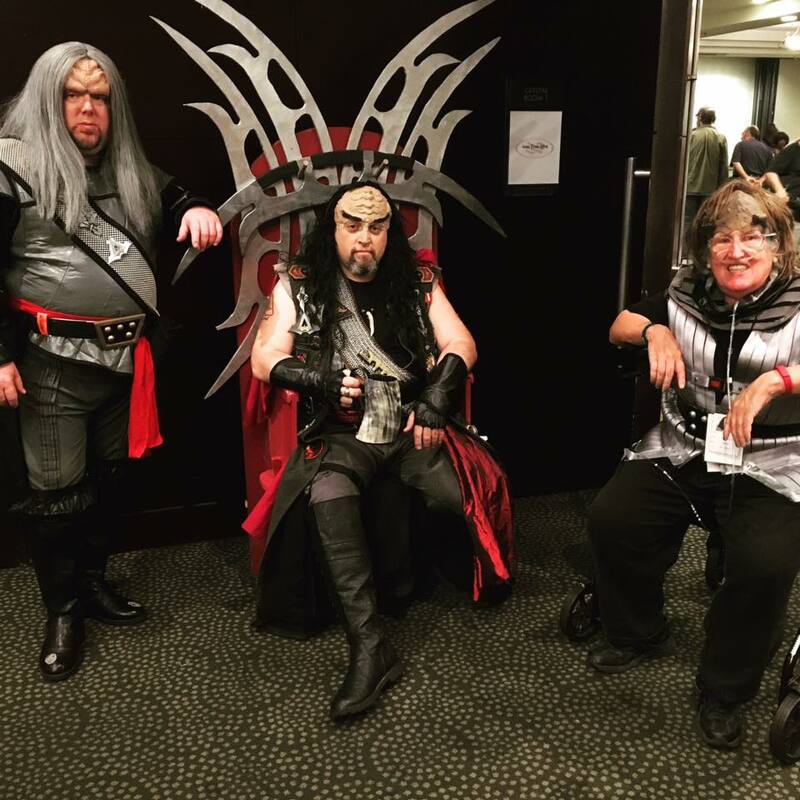 IKF is a not-for-profit Fan organization devoted to portraying the Klingon way of life through Live action gaming/Role playing/Re-enactments. No copyright infringement is intended for use of Star Trek Terms and expressions. Star Trek is a registered trademark of Paramount Pictures / Viacom. NO Copyright Infringement is intended for use of artwork, terms, or anything pertaining to Star Trek, ST: TNG, DS9, Voyager, Enterprise or other forms of the franchise. If a more specific and complete copyright disclaimer is needed, the webmaster/web author will comply with a reasonable request directly from Paramount Pictures /CBS/ Viacom.